New year, new list. Here are the The Best Horror Movies of 2017 (so far). As the year comes to an end, we should all turn off the lights and focus on silver linings -- razor-sharp, blood-shedding silver linings. Director Mickey Keating (Ritual, Pod) returned with his best movie yet, a gritty piece of "survival horror" that feels like a slasher directed by Western legend Sam Peckinpah. In Carnage Park, a crazed sniper (Pat Healy) stalks some criminals -- and their hostage -- across a sparse desert landscape. The movie isn't for all tastes, but a perfect companion to Keating's own Darling, about a young woman slowly going insane. Both films are evidence of a young filmmaker who was clearly inspired by horror classics, and is intent on bringing a new spin to old tropes. For a brief moment in history, there were such things as "VCR board games." Beyond the Gates fondly remembers that era, and it's the film's early focus on character development that allows it to become quite a bit more satisfying than just another 1980s throwback gimmick flick. Solid performances and a nice sense of tension complement the clever story of a haunted game that ensnares three young people. A mysterious entity that disappears when the lights go on terrorizes a young woman and her kid brother in this creepy movie based on a popular YouTube video. In many ways, Lights Out is a conventional and slightly predictable horror movie, but it's also well written, cleverly shot, and atmospheric (the premise demands darkness). Bonus points for the ending, which isn't exactly a twist, but it does manage to leave the viewer feeling slightly gut-punched. While this late-arriving sequel didn't blow the box office doors down, fans of the original may find themselves (un)pleasantly surprised by the scares cooked up by frequent collaborators Adam Wingard and Simon Barrett, who genre fans know from You're Next and The Guest. Plot-wise, it's pretty much the same deal -- unprepared explorers wander into the Maryland woods and don't come out -- but the film also boasts several nifty nods to the Blair Witch mythology. A semi-subplot about "lost time" is pretty eerie; there's a tree-climbing sequence that's rather suspenseful, and the ending is not appropriate for people with severe claustrophobia. This fascinating indie is about a young man who worries he may start to display homicidal tendencies -- at the exact same time a serial killer is working his way through town. 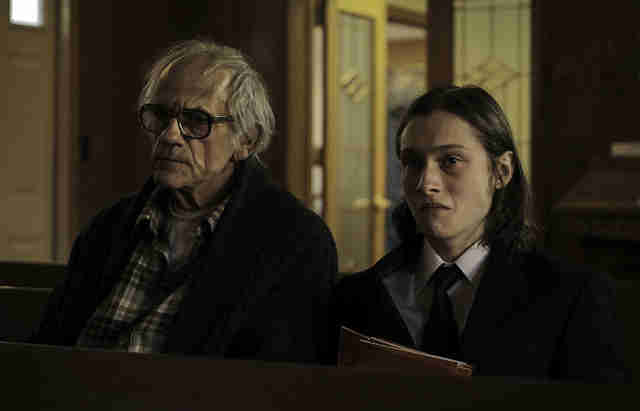 Smart, strange, and unpredictable, I Am Not a Serial Killer is a mash-up of psychological horror and dark humor bolstered by a great cast --yes, that's Christopher Lloyd! -- an impressive visual approach, and an offbeat sense of quiet confidence. 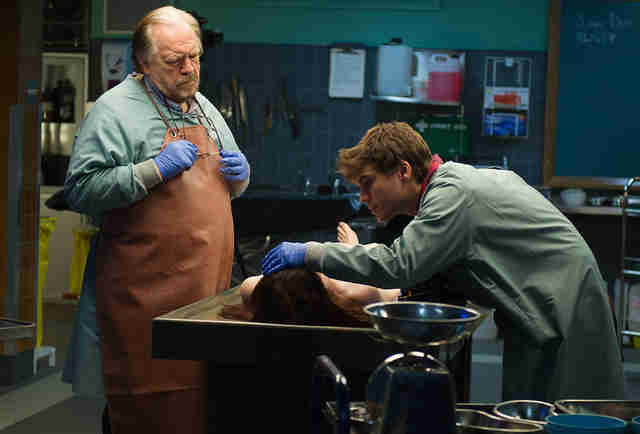 Brian Cox and Emile Hirsch play father and son coroners who -- with required suspense -- come to realize that the unidentified corpse on their table has a long and freaky backstory. To say much more would spoil the flick's numerous twists and turns, but this is a very crafty, brisk, and efficient horror movie from Trollhunter director André Øvredal. Mary Elizabeth Winstead finds herself locked in an underground bunker with an unhinged John Goodman. The dynamic could sustain a movie itself, but then things go and get extra freaky in the final stretch. 10 Cloverfield Lane is a very entertaining blend of psychological thriller, Twilight Zone episode, and straight-up science fiction, and holds up especially well to repeat viewings. I know because I just re-watched it. I don't make these things up. If you're a fan of low-budget, low-intelligence, goofball B-movies, then you have no shortage of shark movies to choose from -- personally, I recommend Shark Attack 3 and Raging Sharks. But if you're looking for something of relative quality, your options are limited, and Jaume Collet-Sera's The Shallows is the unexpected best of the lot. Sure, the premise -- a resourceful young woman finds herself trapped on a rock by a lurking shark -- is simple, and the action gets a little more absurd the longer the movie progresses, but the movie deals in hyper-suspense and (yes) shark-related carnage to keep the horror fans happy. No, it's not about Godzilla's leg. The title means "New Godzilla," and the surprise is that this is the best Godzilla movie in quite some time. (And yes, I'd include the recent American reboot, if I'm being honest.) 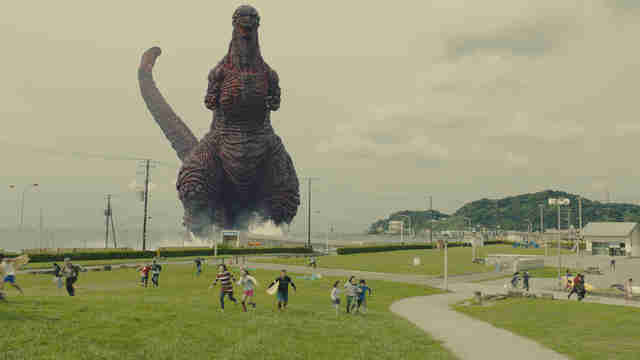 Told as sort of a dryly tongue-in-cheek procedural about the chaos that arrives with Godzilla's appearance -- both physical and bureaucratic -- Shin Godzilla boasts tons of mayhem, a welcome sense of humor, and some pretty fantastic special effects. It's hard to imagine the longtime Godzilla fan who won't enjoy this latest revisit. Set during the conflict between Iran and Iraq, a desperate mother and her horrified little girl find themselves haunted by the ghosts of wartime past. 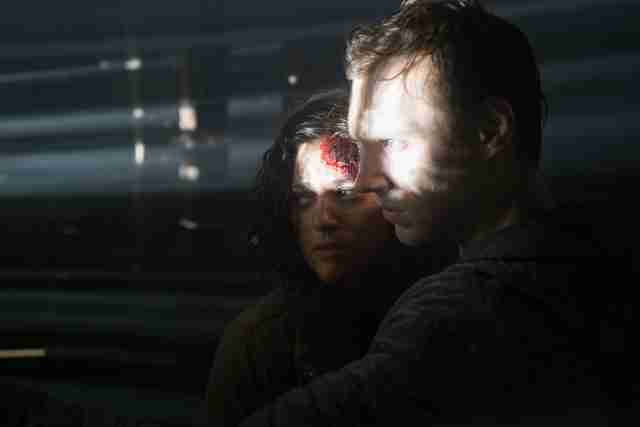 Tapping into history and the terror of true life bombardment, Under the Shadows is one of the smartest, saddest, and most eerily effective horror films of the year. Writer-director Babak Anvari uses war as a metaphor as astutely as legends like Guillermo del Toro, and the setting is refreshingly novel for this type of supernatural story. The two leads (Narges Rashidi and Avin Mashadi) are nothing short of fantastic. A sensation from the minute it hit Netflix, Hush is undeniable proof that a movie need not be startlingly unique or densely plotted to be a damn good time. 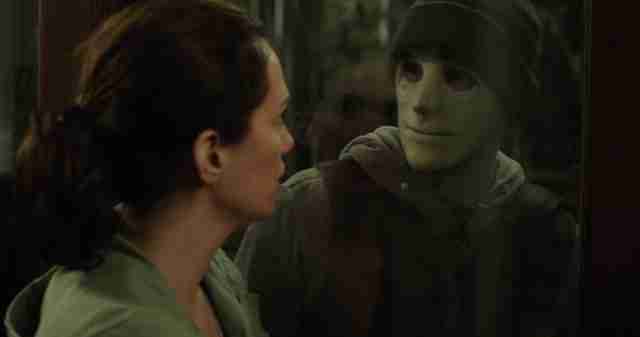 In many ways we've heard this story before -- a solitary young woman must fend off a persistent stalker who is skulking around outside -- but thanks to director Mike Flanagan, a master of "home invasion" tropes, Hush turns out to be a slick, quick, and remarkable suspenseful tale. Kudos to Mr. Flanagan on having a rather impressive 2016: Not only is Hush a winner, but his Ouija: Origin of Evil turned out a lot better than people expected. This fascinating South Korean import demands a firm attention span, and at 156 minutes in length, a certain amount of patience. But those willing to dive into something outside our conventional American occult thrillers will be rewarded with an intelligent horror film about shamans, curses, possessions, and evil spirits. Like many of the finest South Korean chillers (check out Memories of Murder), the "horror story" is presented as part of a procedural; we follow a police detective as he travels to distant locales in an effort to solve the mystery of a deadly disease... one that may not be biological in nature. Every year we see one or two horror "anthology" movies reinvigorate the medium just by existing. Slightly more impressive is a multi-story anthology that somehow manages to tie all the stories together at the end. 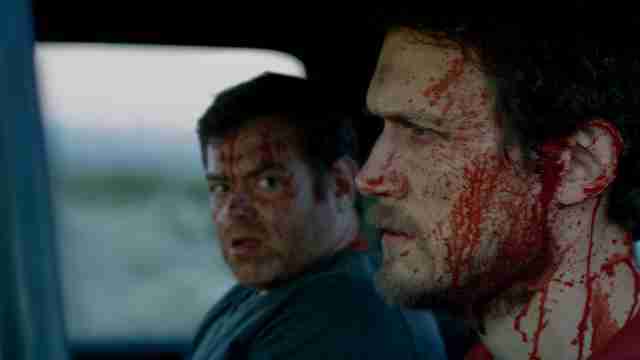 There isn't a weak link in Southbound, which entwines five stories into a tangible desert highway purgatory. Those who hold a fondness for old EC horror comics (or the original Creepshow) would do well to track this one down. Anyone who has attended an awkward dinner party filled with old friends and odd new acquaintances will appreciate what director Karyn Kusama cooked up with this slow-burning thriller. Things go from uncomfortable to bizarre to downright terrifying as the real reason for the ominous get-together becomes clearer. As Will (Logan Marshall-Green) works through emotional baggage, we work through the evident mystery. The Invitation caps off with a finale that's full of jolts, jumps, and unexpected twists. Few filmmakers are as adept at making us scream in our seats as James Wan (Insidious, Saw). What could have been a standard potboiler of a sequel turns out to be one of the more creative and steady scary movies of the year. Vera Farmiga and Patrick Wilson (both great) return to play a pair of married paranormal investigators who travel to London and face off against some truly unpleasant apparitions. Some fans say this one's even better than the first Conjuring, but I say: why choose? They make for one very creepy double feature. I forgive you if you're "zombied out" at this point, what with all the movies, TV shows, and video games that employed the undead. 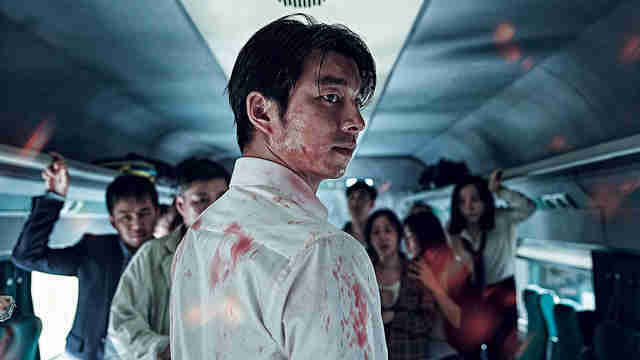 But don't miss this South Korean import, accurately described as "zombies on a train." This is an energetic and highly entertaining combination of horror, disaster movie, and dark comedy, and it's so damn good I expect there to be an American remake within the next few years. Make sure you check out the original before that happens. This stark, unpredictable black and white horror film was fairly divisive across the festival circuit, but it's hard not to be grabbed by the compelling turns. First-time filmmaker Nicolas Pesce tells the story of a disturbed young girl who grows into a harrowingly twisted woman thanks to a shocking childhood trauma. There's nothing conventional about the bleak, beautiful images and ideas the film has to offer. 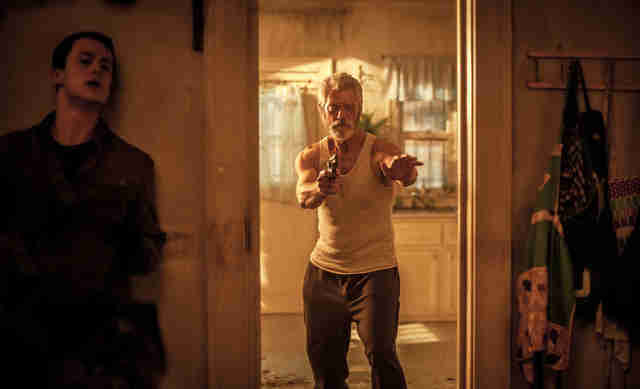 Easily the best "wide release" horror movie of the year, Don't Breathe benefits from a familiar story (yes, it's another "home invasion" story) that's punched up with a handful of genre subversions and an overall sense of moody claustrophobia. It's about a trio of clueless criminals who believe that a local blind man is the perfect prey for a late-night robbery -- and very quickly come to realize that they're not the predators after all. They're the prey. And just when you think you know where the story is headed... well, it gets pretty damn twisted. Some could argue that Green Room is more of a "siege thriller" in the vein of John Carpenter's 1976 classic Assault on Precinct 13 than a horror movie, but given how brutal and terrifying the movie is, I'm laying down the hammer: it counts. All you need to know is that it's about a bunch of punk rockers who witness something very bad, and are then held captive by some terrifying people. That's only the first half hour. 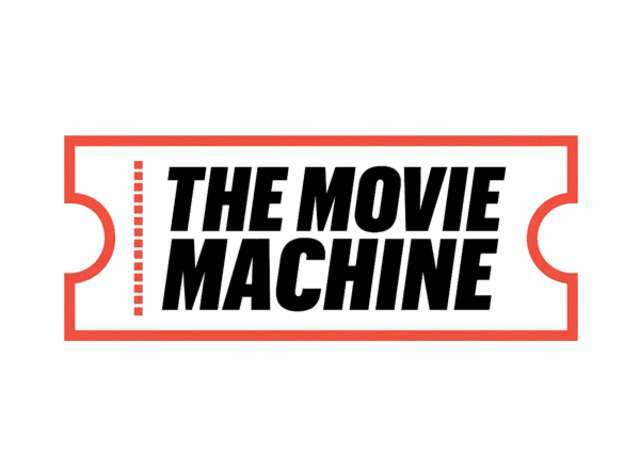 You simply won't find a more powerfully, palpably suspenseful movie this year. Sometimes you earn points for plain old originality. It's safe to say you've never seen a horror movie quite like Robert Eggers's meticulous and hypnotic tale of 17th century New England outcasts living by a forest that harbors a horrific witch. Atmosphere and authenticity are the main priorities here, and the result is a tough, sometimes inscrutable horror story that knows when to be ambiguous, and when to deliver a frank parcel of straightforward terror. It's a fascinating piece of filmmaking from top to bottom.